al·mond \ˈä-mənd: the fruit of a small tree of the rose family with flowers and young fruit resembling those of the peach; its ellipsoidal edible kernel used as a nut. se·duc·tion \si-ˈdək-shən: something that interests and attracts people. Health enthusiasts have had a love affair with almonds for years. 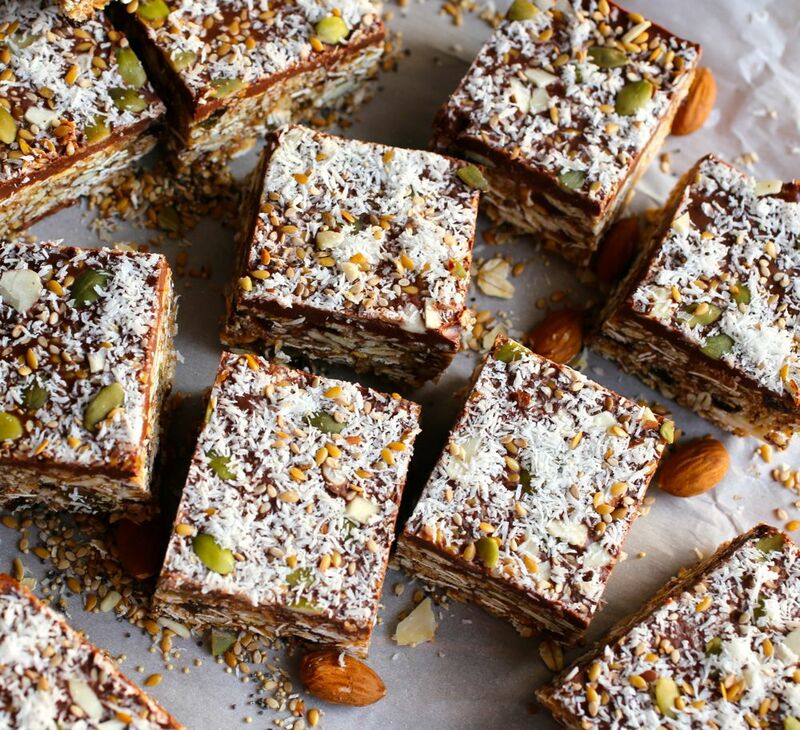 How about you, have you been seduced by the charm of almonds yet? If not, let’s talk about why almonds should be a part of your healthy diet. Throughout history, almonds have been revered by many cultures as “the best fruits of the land”. Romans considered them a sign of happiness, fertility and romance. Newlywed couples were showered with almonds for good health and fortune. Today, Jordan almonds (candy-covered almonds) are a classic wedding candy. A staple at Italian, Greek, and Middle Eastern weddings, the sweet sugar coating of Jordan almonds sweeten the bittersweet taste of the almonds, just as marriage is meant to sweeten the bittersweet journey of life. 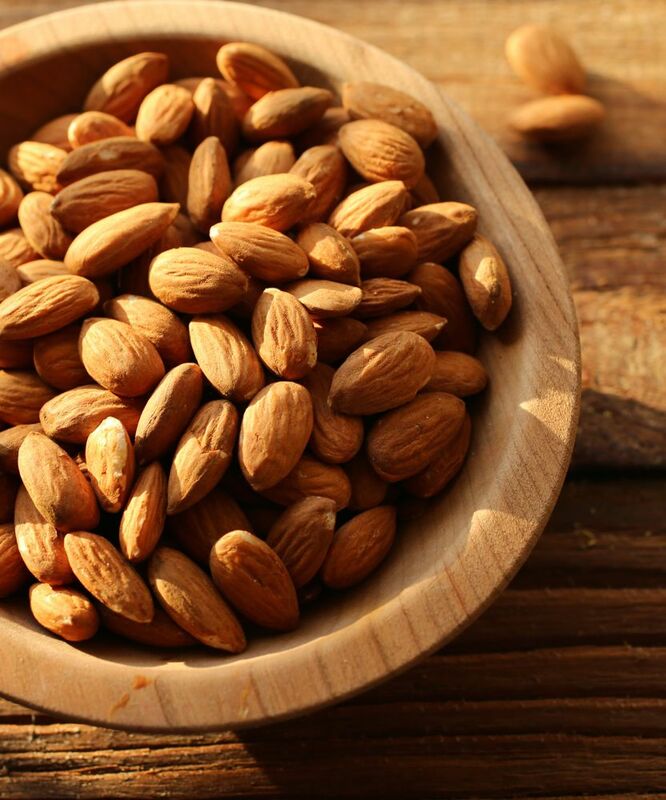 Versatile, delicately flavored, romantic and high in nutritional value, it’s no wonder why almonds are often referred to as “the King of Nuts”. We tend to think of almonds as nuts, but technically they’re the seed of the fruit of an almond tree. Almonds come in different varieties and are actually related to stone fruits such as peaches, apricots and plums. Remember my post on Green Almonds? Those almonds have a green furry covering, much like a fuzzy peach. The furry covering is the almond fruit and its seed is what we refer to as the almond nut. When mature almonds are harvested, the fruit portion is discarded, but when they’re fresh and green, as mentioned in the post, you can eat the whole fruit. Promote Health Health: People who eat almonds are less likely to have elevated LDL (bad cholesterol) compared to those who don’t. Almonds are high in monounsaturated fats, the same type of health-promoting fats found in olive oil. Studies indicate that almonds and other nuts have a protective effect on heart health when part of a diet low in saturated fat. Promote Healthy Weight: Studies have shown that an almond-enriched, low calorie diet may benefit your waistline. However, although almonds are brimming with nutritional value, it’s important to keep in mind that, like other nuts, they are high in calories. It’s best to look at your overall diet and caloric intake when determining how many almonds you should eat everyday. Promote Digestive System Health: Almonds are an excellent source of fiber. They have more fiber than most other nuts. Not only a great snack food, almonds also complement almost any dish. 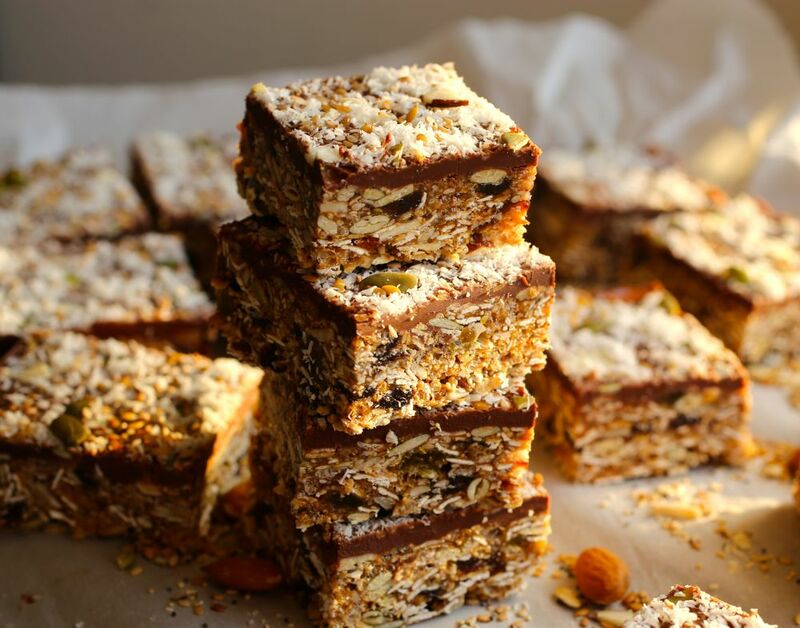 Satisfying, nutritious and easy to consume, I like to use almonds in a variety of things like salads, porridge, granola, energy bars and, more recently, these seeduction bars below. 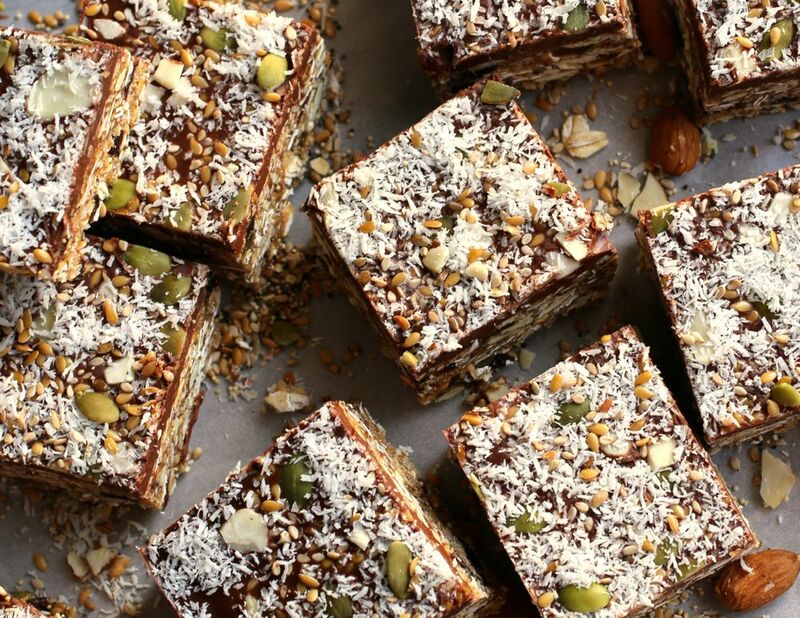 I decided to name them “seeduction” bars not only in hope that you’ll be “seduced” by their nutty and nutritious charm, but also because these chewy bars are loaded with heart healthy seeds that help bring these delicious bars all together. Preheat oven to 350F. Line an 8-inch or 9-inch square baking pan with parchment paper. 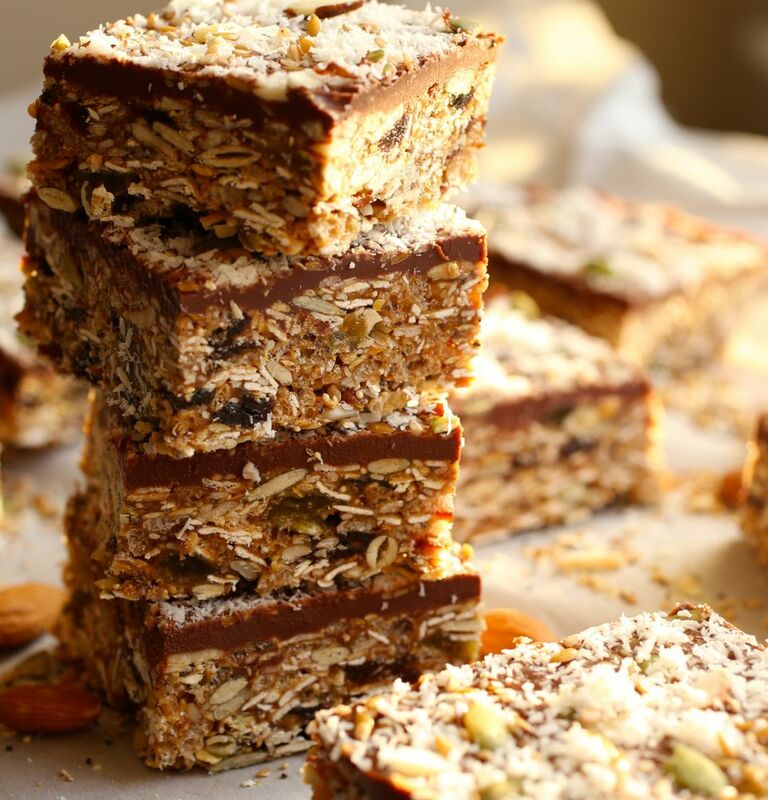 In large baking pan, combine and spread oats, almonds, pumpkin seeds, sunflower seeds, flax seeds, and sesame seeds. Bake until almonds are fragrant, about 7-10 minutes. Allow to cool. If you’re in a pinch for time you can skip this step. In a large bowl combine oats mixture with brown rice crisps, raisins, currants, apricots, poppy seeds, and millet, if using. In a small saucepan over medium heat, combine the almond butter, sugar, honey, vanilla and salt. When fully combined, quickly add to the oats mixture and mix well, making sure all the dry ingredients are well incorporated with the almond butter mixture. Transfer mixture to prepared pan. Using cling wrap, press mixture firmly into the pan, creating an even layer. Allow to cool in the refrigerator. At this point, you can simply cut the bars and eat as is. The toppings are optional. If you’d like to add toppings, continue with the rest of the instructions. Meanwhile, heat chocolate in a double boiler with coconut butter, if using. Spread melted chocolate over bars and spread evenly. Sprinkle with your choice of toppings—seeds, nuts, coconut, and/or flaky sea salt. Allow to chill in the refrigerator until firm, at least one hour. Cut into bars. Store in an airtight container. They can be placed in refrigerator or freezer. I prefer eating them at room temperature. Enjoy! * I made my own almond butter. Super easy to make! I dry roasted almonds and processed them in my food processor. I added nothing more than almonds and a little salt. If you have a powerful food processor (I use a Magimix), it will do all the work for you so there’s no need to add anything more. I hope you do! Please let me know what you think! So glad to hear it! Apologies for the late response. I just realized I hadn’t responded to messages on this post!